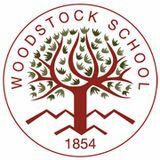 ith almost 165 years of proud history behind us, it would be easy for Woodstock to rest on its laurels! But ours has always been a forward looking vision. As one pundit once put it, “there’s no future in the rear view mirror!” This perspective is all the more important in a school. The education we offer is not to equip young people for yesterday – but to inspire in them the qualities and skills which will transform them into tomorrow’s effective leaders. 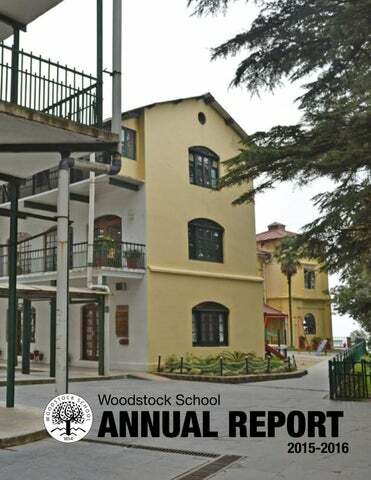 Woodstock students graduate with far more than a sound academic preparation which allows them to gain admission to calibre institutions around the world. They leave here with reliable values and an empowering vision of possibility which can last a lifetime long. our generous Financial Aid programs. Next year, we embark on a journey towards accreditation by the Council of International Schools – a 2-year process leading to the gold standard of recognition within the international school community worldwide. This will provide a process of rigorous evaluation which will drive even deeper change in the direction of excellence! Whether in refining Woodstock’s transformative educational experience or in establishing ever higher standards of challenge and support for our students, we are committed to a journey of continuous school improvement based on good practice in international education. How will we measure the success of this process? There are so many things we can measure – exam results, academic success, university offers, to name but a few. But we all know that not everything can be measured. Someone once said, “We must measure what we value rather than value what we can measure.” These are wise words. I am sometimes tempted to believe that the easier things are to measure, the less they have to tell us about what really matters. Above all, we will pay attention to the quality of relationships, the atmosphere and ethos which exists beneath first impressions and the extent to which our students are able to take the values we espouse out into the world with them. to the many others on the teaching staff and support staff of Woodstock School that ensure our children are taught well and looked after well. My appreciation to the parents of our students who encourage us and keep us accountable and to our alumni whose generosity, passion and support, never cease to amaze me. In this regard, we mourn the loss of one of our alumni, benefactor, past Board Member and Distinguished Alumni, Dr. T Z Chu ’52. His life served to motivate many of us and his passing leaves us all poorer. His counsel, support and guidance shall be sorely missed. Exciting discussions have taken place with architects for the major renovation of the campus. Work is underway to completely upgrade the Quad dining hall and kitchen for the start of the Spring Trimester in February! These plans will create a more systematic grouping of teaching and learning spaces while retaining Woodstock’s prized historicity. The designs will to be refined over the next few months as well as funding options and timeframes. The Centre for Imagination, based at Tafton, offers inspiration and real-world challenge to students [Programming has already begun, see page 10 for details.] In addition, Woodstock is hosting three volunteers with backgrounds in design, marketing, and project management so that the CFI can benefit from a professional interdisciplinary team. Woodstock’s innovative Festival of Ideas in May will also be hosted by the CFI this year! linguistic and cultural backgrounds enabled us to admit three students from Syria and two students from Afghanistan. These exceptional individuals represent families where conflict is a real and present part of everyday life. They enabled the rest of the student body to hear and learn from experiences that shape the unique lenses through which they view the world. We continue to search the globe for deserving students that can contribute to and benefit from the transformative Woodstock experience. training. Students are now planning events where these 13 “master trainers” can share new ideas and practices on good practices in dairy farming, with other farmers in the Thatyur region! Women’s Self Help Groups Working with the renowned NGO’s SEWA and Arpana, students are helping women in our community to become financially stable by facilitating micro banking. Fifty-four women from low income families are contributing amounts ranging from Rs.200 to Rs.500 each month towards a group account. Besides saving, the women have the opportunity to take loans at a very low interest rate to start a new business. Teachers’ Training Woodstock is training teachers of governmentrun nursery and primary schools from Tehri District. A group of students is helping to write a teacher’s manual for the textbook which has been issued by the government to be used in government run nursery schools (Anganwadis). They have learned from their own teachers at Woodstock the importance of having students fully engaged in the learning process! oodstock’s ambitions have never been bolder. In the Operations area, our intent has been to make the best use of available financial and human capital resources in preparation for some of the most strategic changes that the school has seen in decades. Woodstock’s Infrastructure team is working with our partners to finalize designs for renovation of the entire school campus, which would enable us to offer modern, 21st century learning spaces to students and staff, while retaining important attributes of our architectural heritage. Significant progress has been made in terms of upgrading staff and employee accommodation, and large projects are lined up for the next three years. Energy efficiency has been taken up on priority, with investments in solar energy and sustainable options to supply hot water. launched last year, resulting in a substantial increase in faculty pay. Additional avenues to support staff in pursuing professional development opportunities have been put in place, allowing teachers to pursue advanced degrees. The Finance team has established and implemented controls and processes that have helped the school be on a firm financial footing, which is the foundation of the capital spending that we plan to launch to support our ambitions. Prudence in the areas of budgeting, financial planning and expenditure have produced favorable results, helping the school maintain a healthy cash flow and, after many years, lead the general fund into positive territory. Donor Acknowledgements Woodstock School continues to benefit from the generous encouragement and support of individuals and organisations. Each contribution, of financial support or of time, is an investment in the future of the school. We sincerely thank the following generous individuals and organisations for their donations and/or gifts in-kind during the 2015-2016 year. Organisations •	Friends of Woodstock School* •	Kanak Projects Ltd. •	Presbyterian Church •	St. Olaf College •	St. Paul’s Church •	Winterline Foundation Inc *Individual donations made by alumni and friends to Friends of Woodstock School are recognized in the foundation’s own annual reports and publications. Annual Fund for Excellence 2016-17 Each year we ask Woodstock alumni and friends from around the world to consider supporting the annual programs and services that are beneficial to Woodstock School. Yes! Count me in. I would like to help my school succeed! Donations from North America to Friends of Woodstock School By Credit Card •	Visit FWS website www.FWSfoundation.org •	Select the DONATE button for program and funding options •	Follow prompts By Cheque Please make cheques payable to Friends of Woodstock School and send to: Friends of Woodstock School PO Box 749780 Los Angeles, CA 90074-9780 For additional information or questions about FWS, contact: David Wheeler, Administrative Manager, at 425-353-8422 or mail@fwsfoundation.org Friends of Woodstock School (FWS), is an independent 501(c)(3) organization that supports Woodstock’s mission and vision.